Get a glimpse into the major Waste, Bioenergy and Recycling project developments that are expected to take place in 2018. Only projects where a firm indication of status has been given by developers concerned are included. 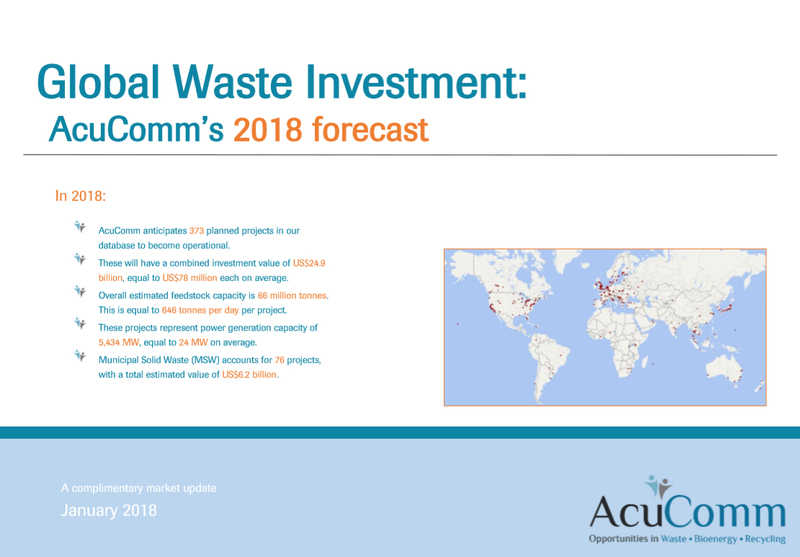 All data is sourced from AcuComm's waste database of project investments, which currently holds over 5,000 active or planned developments in the Waste, Bioenergy and Recycling fields. 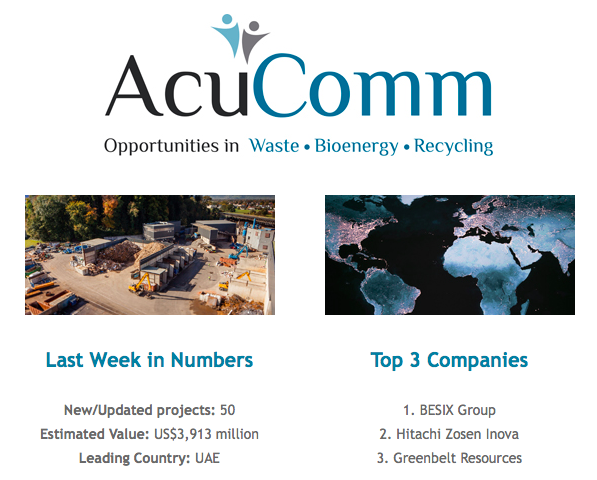 Sign up for AcuComm's WasteView Newsletter to keep up-to-date on the latest news, trends and views around the Waste, Bioenergy and Recycling sectors. Looking for a simple visual snapshot of the specific business opportunities available to you? Instant MarketView from AcuComm gives you just that. 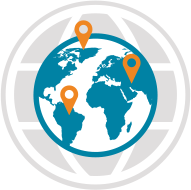 Simply choose the regions, development phases and facility & waste types that matter to your business and click search. Your bespoke Instant MarketView is generated instantly, providing you with a unique, engaging visual representation of the ‘live’ market opportunities available to your business. 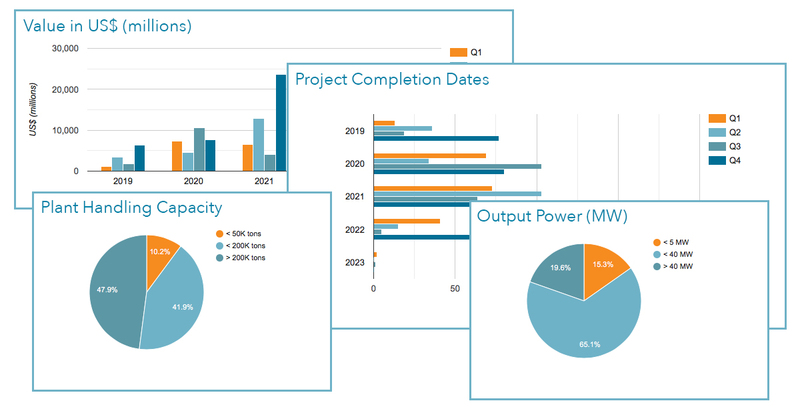 What is more, you can seamlessly access and interrogate the specific projects that populate your Instant MarketView. Want to download the report? No problem, just click the generate pdf button and it is ready to share and incorporate in business plans, strategy documents and sales & marketing reports. Pay for what you need now and download for immediate use. How do you continually and cost effectively fill your sales pipeline? What are the key market dynamics and environment you will face? Do you know what contracts your customers are winning and where? Unique weekly and relevant topics backed up by the latest market indications and company activities. 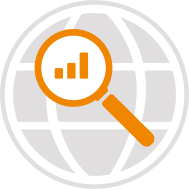 Real time and instant market evaluation for YOUR business and products.